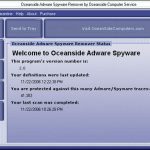 Oceanside Adware Spyware Remover is a product of Oceanside Computer Service, a company that sells computers and software, provides computer repair and support services, designs web sites and even runs own Internet cafe. 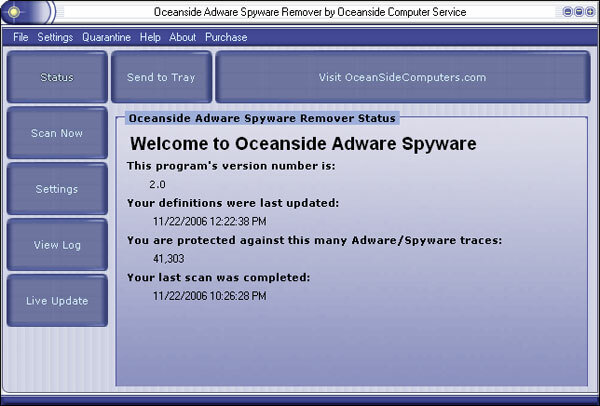 In other words, Oceanside Adware Spyware Remover is made by a reputable company, but nevertheless, it is a corrupt, poor performance program that uses false positives. 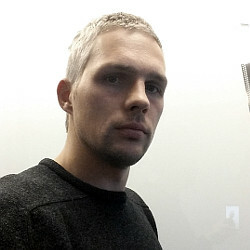 We have tested this commercial application on absolutely clean computer that was never infected with spyware parasites, trojans, viruses or any other malicious threats. However, the program managed to find one spyware/adware infection – the IEPlugin downloader. 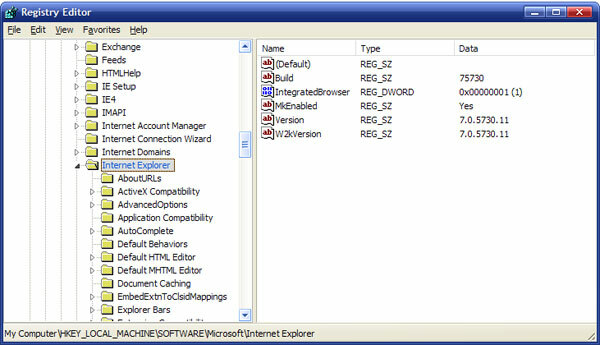 Further analysis revealed that the registry key associated with the pest (HKEY_LOCAL_MACHINE\SOFTWARE\Microsoft\Internet Explorer) was absolutely safe. It actually was an essential component of the Microsoft Internet Explorer web browser. Removing this entry would severely damage it. See screenshots provided below. 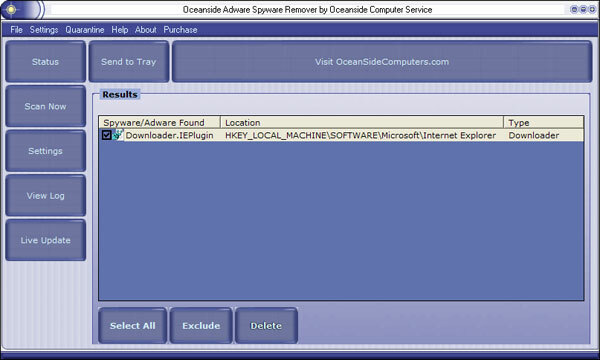 Oceanside Adware Spyware Remover uses ineffective malware detection engine. System scan performed on a regular computer storing hundreds of gigabytes of various data does not take more than three minutes. 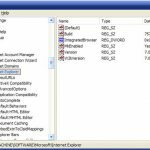 The program does not examine each file, registry key or process present in the system, but instead searches only for a limited number of malicious objects listed in its spyware definitions database. Implementing such scan technique results in false positives and inability to identify numerous variants of known parasites. To prove our words, we have tested Oceanside Adware Spyware Remover on a badly infected machine. Results were far from being satisfactory. The application missed the larger part of all pre-installed parasites including even well-known risks such as Look2Me, Surf SideKick and Internet Optimizer, not to mention numerous trojans and emerging threats. The program implements real-time protection that should monitor the system for malicious applications and block web browser hijack attempts. In our tests active monitoring was enabled all the time. However, we couldn’t see it in action. The monitor did not identify even a single malware process. The free version refuses to remove any parasites it finds. It asks to register and purchase the full product. 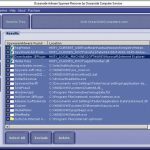 This is hardly believable, but true – Oceanside Adware Spyware Remover is a clone of other corrupt products such as Ad-Purge Adware & Spyware Remover, Froggie Scan, Privacy Crusader, Spy Reaper, SpyViper, Spyware Scrapper and theSpywareShield. All these programs have identical user interfaces and produce similar scan results. Furthermore, all of them consist of terribly similar components. The official web site is www.oceansidecomputers.com. This entry was posted on 2014-06-15 at 22:32 and is filed under Corrupt Anti-Spyware, Software.